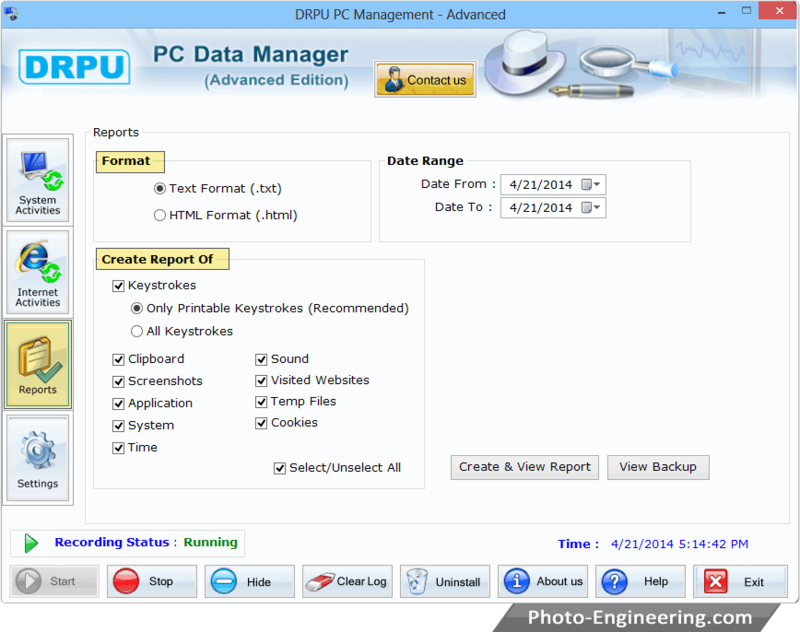 Generate report of recorded data in either Text (.txt) or HTML (.html) file format and create the report of keystroke activities like: Only printing keystroke or all, clipboard, visited websites etc. as shown in above screenshot. 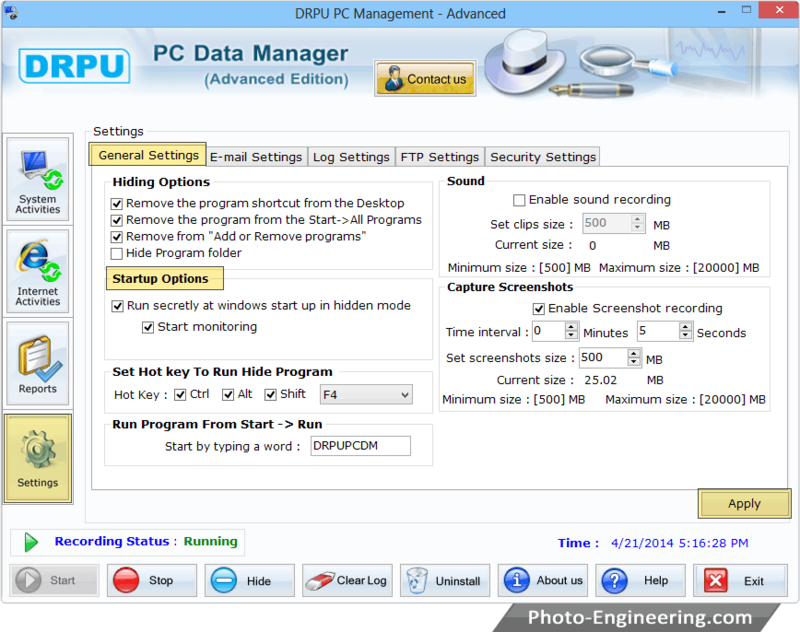 General setting option to hide installation of keylogger program on PC.